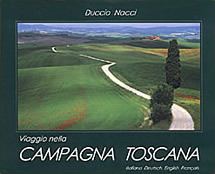 The first book "Viaggio nella Campagna Toscana" ("A Journey through Tuscan Landscapes") was published in 1998 after long and careful work so as to lead the reader on a poetic and aesthetic journey through the beauty of Tuscany. 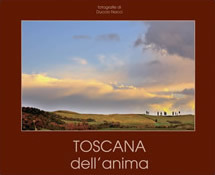 The second book of colour shots was published in 2008, with the title "Toscana dell'Anima" ("Tuscany of the Soul"), a volume of photographs selected together with poems of Tuscan authors of every age, from passionate verses from Cecco Angiolieri and Dante Alighieri to calmer and more ironic poets such as Folgore da San Gimignano and Aldo Palazzeschi. 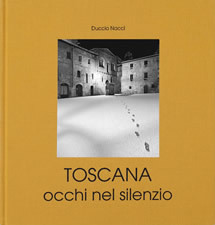 The first volume in black and white after years awaiting and respecting the flow of nature, in order to be able to photograph a landscape not just in its authentic form, but as his eyes would always like to see it. 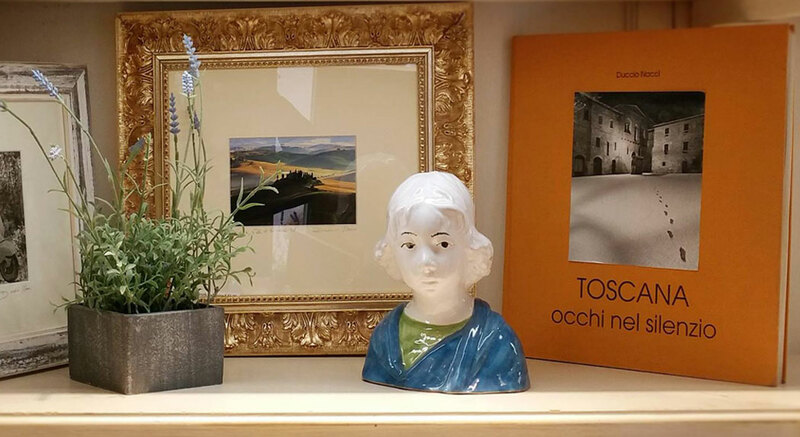 You must not be in a hurry when wishing to reproduce the sensations that flow through you when seeing a beautiful thing, and so "Toscana, occhi nel silenzio" ("Tuscany, Eyes in the Silence") was published in 2010.